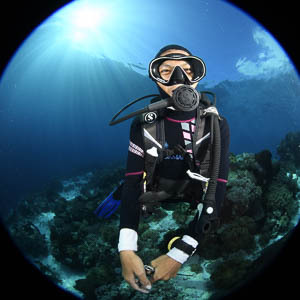 Our Resource Center is here is help you get the most out of your underwater photography. Visit the links in the sub-categories to the left to explore our free Handbooks, and Article Center for guide articles, tips, trip reports and reviews. We also have links to several manufacturers' sites which have tutorials and photos taken with their gear, or to help with warranties and repair. Our Facebook page has many posts on all the latest gear, deals and much more. A few current posts are shown below, along with some recent Instagram photos. We also have an active Facbook photo sharing group called Immersion where you can post your photos, share information and discuss them. Our Flickr site is loaded with all the latest demo photos and trip photos. Our YouTube page has many examples of videos shot with the products we sell. Also see our Pinterest page for lots of great photos and links to other great products that we like. Mobula school. West Papua, Indonesia. Grab shot with my 60 macro lens as they went over us. Interesting tech. Camera manufacturers; are you listening? Apple has filed a patent application describing a system that automatically optimizes camera settings and image processing for underwater photography.